The federally required minimum wage is $7:25 per hour of work performed, which everyone agrees is insufficient to maintain a nonpoverty lifestyle in Wisconsin without government subsidies or having to work two or more jobs. Some state governments have have elected to increase the required minimum wage per hour that employers in their state must pay their employees; however, Wisconsin is not one of them. Paying individuals and families who minimize their annual global footprint could add significantly to an individuals or family’s annual income. Depending on how successful each individual or family was at minimizing their driving mileage and flying, and minimizing their energy use in their home, they could earn up to $22,800 in a year. 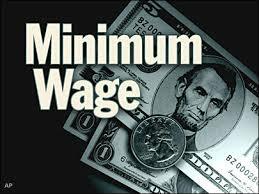 African-American individuals and families would be eligible to earn a higher maximum of $30,400 per year. Although the above amounts would be the maximum one could earn by not driving a motor vehicle or flying at all throughout a year, most Wisconsinites would find it difficult to max out in the residential home heating and use of fossil fuel derived electricity, since few homes exclusively use solar or wind power. But most homes in Wisconsin could be better insulated, use less hot water, or kept a few degrees cooler (winter/spring/fall) or warmer (summer, using less air conditioning) than their residents might be use to, so they could add to their income by having to pay less in energy costs plus whatever income they might earn, by using less energy than the typical Wisconsin household of the same size.